Content Copyright Holders Agora Publications, Inc. Performing Rights Holder Agora Publications, Inc.
Whitehead presented these three lectures at Princeton University in 1929. Although 85 years have passed, his central thesis and his analysis remain remarkably current. The scientific materialism that Whitehead opposed with such vigor continues to dominate in academic circles, and even now those who question that worldview are often accused of being anti-scientific. This is especially true in discussions of the nature of the human mind and its relation to the body (particularly the brain). It is hard to find a contemporary thinker with a better perspective on the nature and role of natural science than Whitehead who, with Bertrand Russell, published the Principia Mathematica in 1910; who taught logic and mathematics at Trinity College of Cambridge University; who taught philosophy of science at University College London; and who was professor of philosophy at Harvard University beginning in 1924. Whitehead’s cosmology is far from anti-scientific, but he does explain why scientific method and technological practice alone are not able to provide a comprehensive understanding of the full range of human thought and experience. This work explains what we must do to achieve such a comprehensive understanding. The older controversies have mainly to do with this latter mode of considering reason. 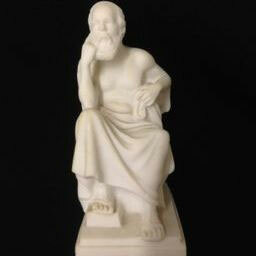 For them, reason is the godlike faculty that surveys, judges, and understands. In the newer controversy, reason is one of the items of operation implicated in the welter of the process. It is obvious that the two points of view must be brought together if the theoretical reason is to be satisfied concerning its own status. But much confusion is occasioned by inconsistently wavering between the two standpoints without any coordination of them. There is reason asserting itself as above the world, and there is reason as one of many factors within the world. The Greeks have bequeathed to us two figures whose real or mythical lives conform to these two notions—Plato and Ulysses. The one shares reason with the gods; the other shares it with the foxes.